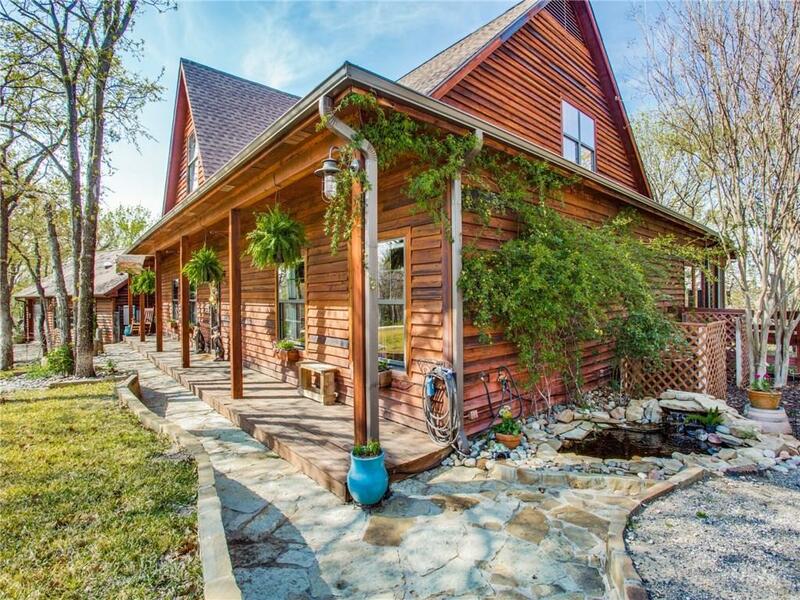 This one of a kind home makes you feel like you are living on a resort. Open living area with 25 vaulted ceilings & floor-to-ceiling windows around fireplace. 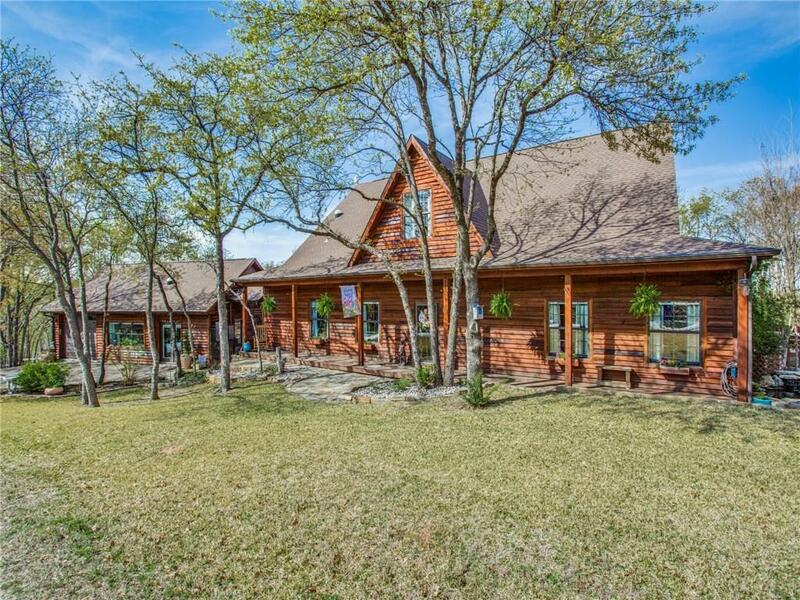 This spacious home rests atop hill with views that cant be duplicated. Hardwoods line the property. Kitchen is open to dining and Lvg areas. Lg island, ss app, dbl ovens, & granite ct's. Entertain friends & family on deck that spans length of the house. Large screened in area bonus. Stone courtyard with stairs to a quaint fenced area. 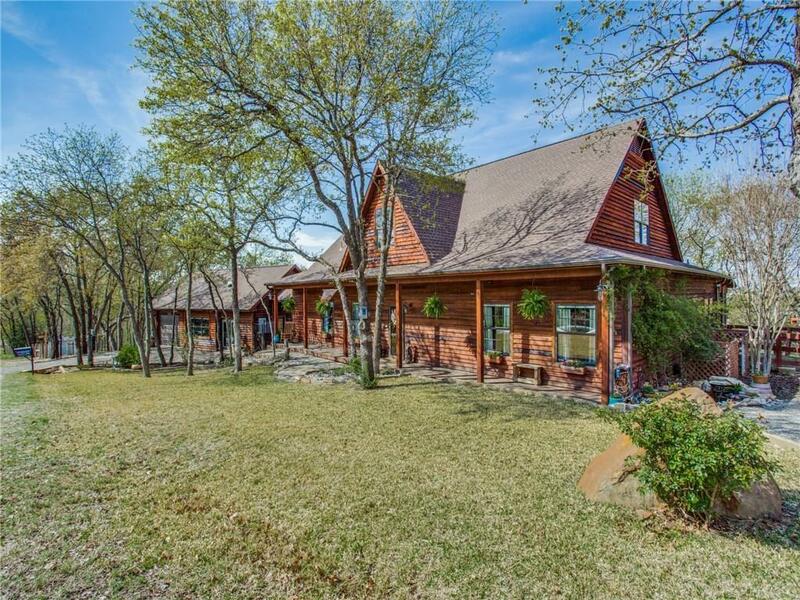 Property also has separate fenced dog yard, storage shed, koi pond, goat paddock, barn, loafing sheds, chicken coop, buck enclosure with sleeping quarters, and fenced garden that is ready for crops! Argyle ISD! 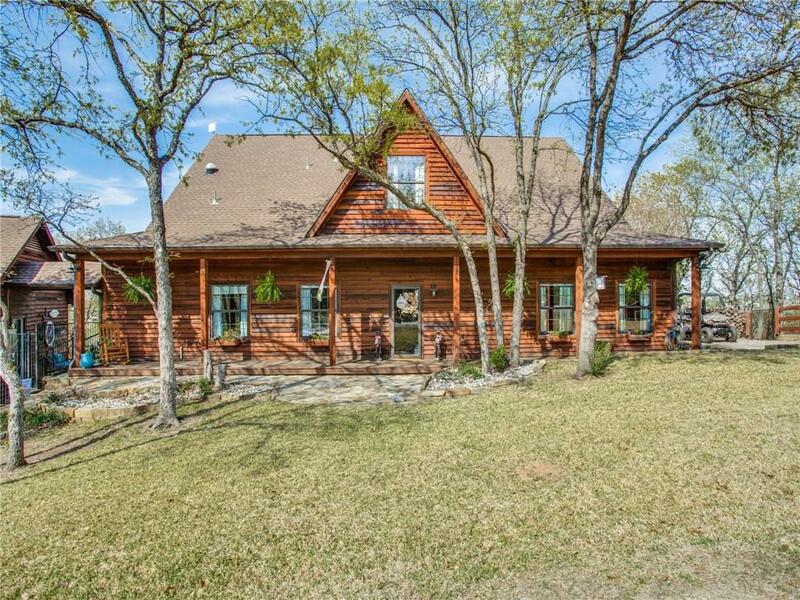 Offered by Dustin Helms of Jp & Associates Plano.